Cambodia’s brutal late-20th century history remains a mystery for most outsiders – and that includes the millions of tourists who flock to the South-east Asian country each year. A new book (“poignant”, “heart-breaking”, “extremely thoughtful” and “beautifully written”) by Cambodia-based journalist Robert Carmichael explains the fate of a nation and the continuing human cost of those years. Bangkok, April 3, 2015 – On April 17, 1975, Pol Pot’s Khmer Rouge movement took control of Cambodia and set about implementing one of history’s bloodiest revolutions. By the time his regime was overthrown less than four years later, two million people had died from execution, starvation, overwork and disease. The book takes as its central event the disappearance of a young Cambodian diplomat named Ouk Ket after his recall to Phnom Penh in 1977. His French wife, Martine, left behind in Le Mans with their two small children, spent years trying to learn his fate. Decades later that search brought her and their daughter, Neary, face-to-face with Cambodia’s first war criminal at the international tribunal in Phnom Penh. 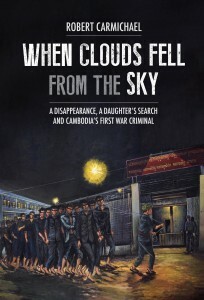 When Clouds Fell from the Sky, which is published by Asia Horizons Books, weaves the lives of five people – three Cambodian and two French – across five decades: from the rise of the Khmer Rouge in the 1960s to the international tribunal’s 2012 conviction of the regime’s security chief, Comrade Duch, for his role in the torture and execution of more than 12,000 people at the notorious S-21 prison. 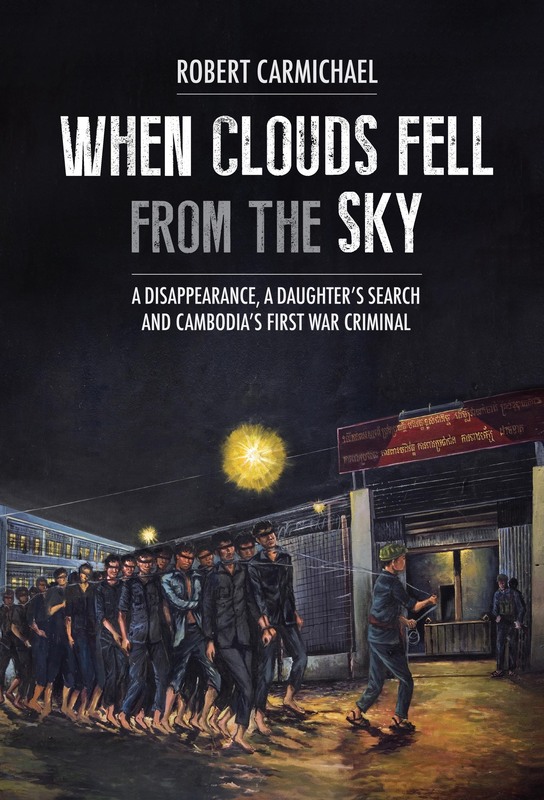 When Clouds Fell from the Sky: A Disappearance, A Daughter’s Search and Cambodia’s First War Criminal; Asia Horizons Books Limited, [Hardback: ISBN 9786167277127, USD $27.50], [Paperback: ISBN 9786167277134, USD $18.50]; size: 23cm x 15.5cm; 364pp, 8pp B&W images, 2 maps. 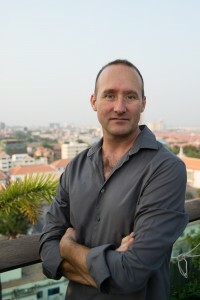 Robert Carmichael is a South African journalist who has reported from Cambodia for eight years. From 2001-03 he was the managing editor of the Phnom Penh Post newspaper. He returned to Cambodia in 2009 to cover the trial of Comrade Duch, the former head of the Khmer Rouge’s torture centre S-21, in order to understand better the causes and consequences of Pol Pot’s 1975-79 rule. Carmichael, who is 45, is married and lives in Phnom Penh. When Clouds Fell from the Sky is his first book. Since his return he has reported regularly for numerous international outlets including the German Press Agency dpa, Voice of America, Radio Australia and Deutsche Welle. His work has appeared elsewhere too, including BBC radio, CNN and Foreign Policy. When Clouds Fell from the Sky: A Disappearance, A Daughter’s Search and Cambodia’s First War Criminal (Asia Horizons Books Ltd, 2015, Hardback: ISBN 9786167277127, USD $27.50; Paperback: ISBN 9786167277134, USD $18.50; Kindle: ASIN: B00VEBAJQO, USD $9.99; www.whencloudsfell.com). The book is available for pre-order on Amazon Kindle ahead of its April 10 release, and – in Cambodia, Myanmar and Laos – through Monument Books. In Thailand it will be sold through Asia Books and Kinokuniya. The book takes as its centrepiece the life of a young Cambodian diplomat and his disappearance in 1977. Through that event and the 2009 trial of the Khmer Rouge security chief ultimately held responsible, it tells the story of a nation enslaved by one of the century’s most brutal regimes, and shows how the damage done during those years remains undimmed. To interview Robert Carmichael, please contact him by email. For more information please visit www.whencloudsfell.com. The website hosts material such as photographs, interviews and reviews, and will be added to in the coming weeks. 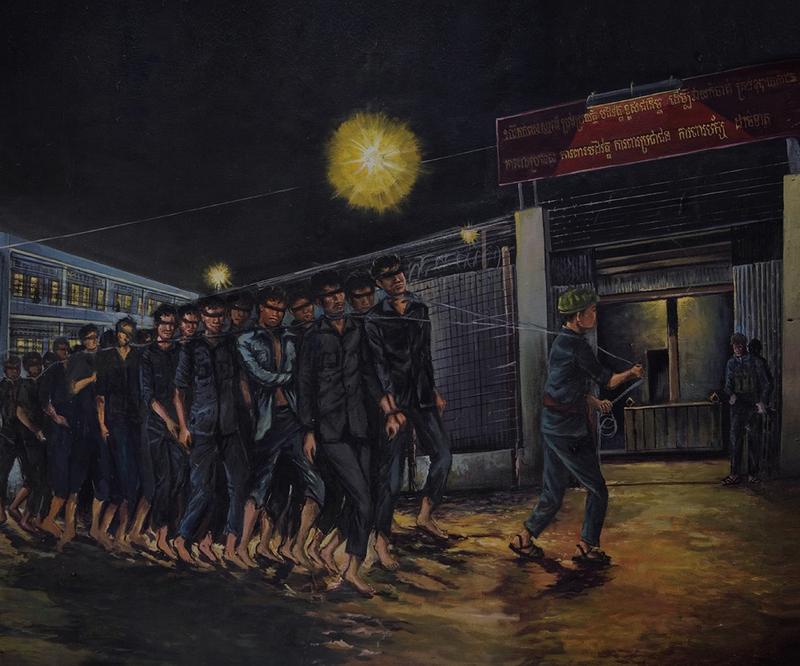 A multimedia page will soon have audio and short videos relevant to the book, including a video of S-21 prison and another of the Chhoeung Ek killing field outside Phnom Penh where most of S-21’s prisoners were murdered.